Apparet Blogger Template is a free magazine style blogger template with 2 columns and sidebar on the right side. Features : clean and cool design, magazine style, elegant slider menu, smoothie dropdown menu, great sliding button on posts and label, animated social bookmarking icons ready on the footer and more. 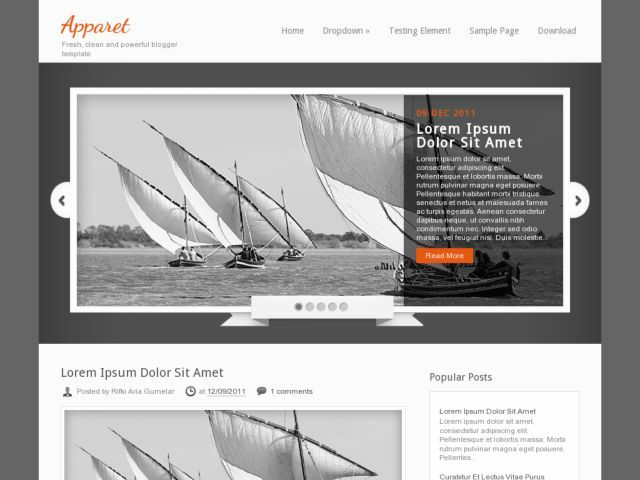 This template suitable for all type of blogs.